Mapping Threats to Grey Crowned Cranes in Eastern Uganda (April – September 2014)Funders: North Carolina Zoo through the International Crane Foundation / Endangered Wildlife Partnership. Description: This study built upon an earlier one1 that surveyed breeding and distribution of the Grey Crowned Crane (Balearica regulorum gibbericeps) throughout Uganda. Like most of the other crane, grey crowned cranes depend on wetlands for breeding. Eastern Uganda probably has the most extensive wetland estate in the country but little had been documented on occurrence and threats to cranes in the region. The study covered Lakes Bisina and Opeta, Awoja, Namatala, Manafwa, Doho, Malaba, Kibimba, and Mpologoma wetlands. Olupot, W., H. Mugabe, and A.J. Plumptre.2009. 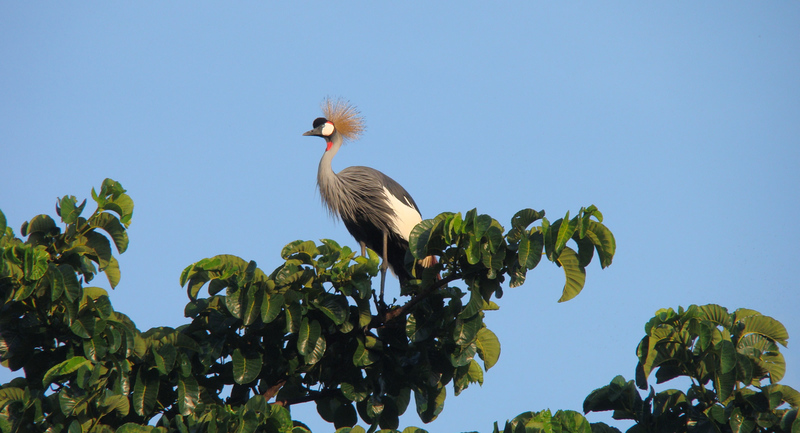 Species conservation on human-dominated landscapes: the case of crowned-crane breeding and distribution outside protected areas in Uganda. African Journal of Ecology. 48:119-125. Like most of the other crane, grey crowned cranes depend on wetlands for breeding. P.O. Box 21669 Kampala, UGANDA.